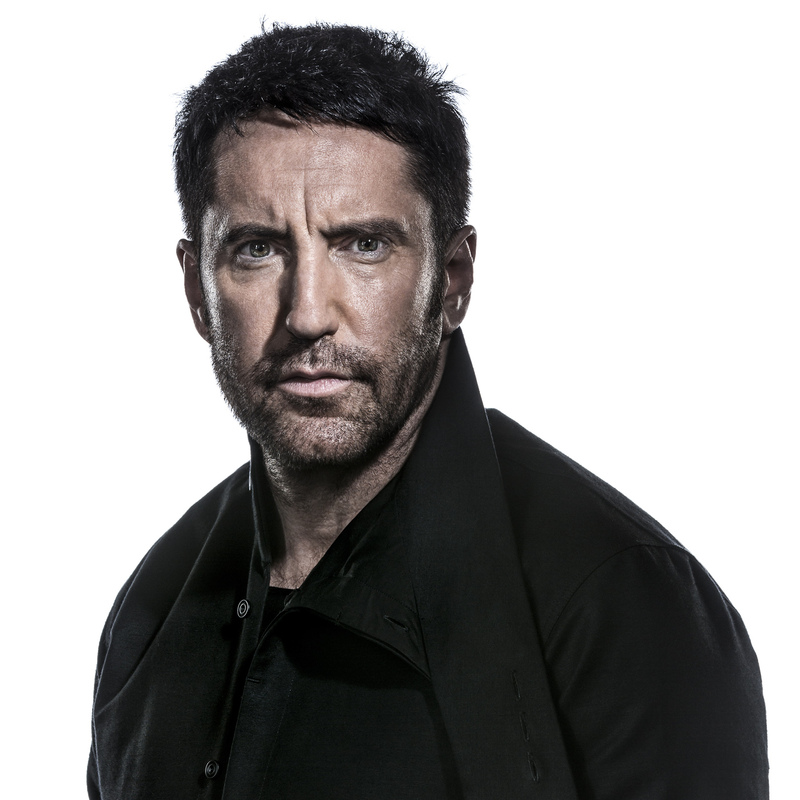 Trent Reznor: 'I'm Not The Same Person I Was 20 Years Ago' The Nine Inch Nails frontman announced several years ago that it was time to let his band "disappear for a while." The hiatus ends this week with Hesitation Marks. Trent Reznor is known as a detail guy: a meticulous composer and manipulator of sound, layers upon layers of it. From his band's genesis 25 years ago, the leader of Nine Inch Nails has been known for songs of deep, menacing pain, rage and self-destruction. Today, Reznor's dark days of alcohol and drug abuse are behind him — and he finds himself, at 48, with a wife and two young kids. The new Nine Inch Nails album, Hesitation Marks, ends a hiatus that Reznor announced in 2009 — and, as he tells NPR's Melissa Block, he sees the new record in part as a reaction to his earlier self. He recently spoke with Block about reacting to criticism, working with Lindsey Buckingham and the reasons he thinks opening for Guns N' Roses in Germany was a big mistake. Hear the radio version at the audio link, and read more of their conversation below. I'm thinking about your new song "Everything," which starts with this really kind of triumphant declaration? What's the first line of that song? "I survived everything." I think? I haven't listened to it for a few days. It absolutely is. And in the course of the song you say, "I've become something else." Yeah, I meant that song to feel kind of absurd. You know, it's an arrogant, bold statement that might appear defiant but is actually, in my opinion, kind of self-destructive. And by the end of the song, when it doesn't resolve as nice and rosy with me running through a field of dandelions, clouds come over and there's a sense of getting what you asked for. My life has been many examples of shortsighted goals that I thought would fix things. If there's something broken inside me, if there's a hole in there, I thought if I could just write a good song someday, then I'd be OK. You know, if I could just get a record deal, or if I could just be onstage in front of people I'd never seen before and be validated by them. I feel very fortunate that I've been able to achieve those things, and there have been moments of feeling good about it, but it didn't fix things, you know? It wasn't the solution to me feeling spiritually complete or whole. When you've been around for a while and you've created, essentially, a brand, that has a certain level of expectation. And it encourages you to not color outside the lines if you pay too much attention to what you expect that fan base wants from you. I think many, many artists have suffered an artistic death by doing just that. This song does start out in such a sunny way, with all these joyful harmonies. I'm sure you know there was a disgruntled fan who thought this was entirely too poppy — maybe a softer, happier side of Trent Reznor — and put together an animated video of you riding a unicorn under a rainbow with birds flying by. You're saying, though, that's ignoring what's really going on in this song? That certainly wasn't anything that crossed my mind when I was working on this. You know, I still think in terms of album formats: collections of songs and how they relate to each other and how they integrate and tell a bigger story than what's contained in each little four-minute parcel. But when you've been around for a while and you've created, essentially, a brand, that has a certain level of expectation. And it encourages you to not color outside the lines if you pay too much attention to what you expect that fan base wants from you. I think many, many artists have suffered an artistic death by doing just that. I think we live in very dangerous times right now with the Internet and the feedback loop you can get from people who somehow feel their fingers are connected to an impulse — first second of hearing something, I need to write some reaction that gets blasted out to the world. I saw about the first five seconds of it, and it lessened my faith that I am reaching an audience that is open-minded enough to understand what I'm trying to do. That's what I thought off the bat. And then I thought, "I really don't care what you think." We wouldn't be sitting here doing an interview, because my career would have been over 24 years ago, if I'd have listened to what I think people want to hear from me. [But] this is just my off-the-cuff thesis here. I'm sure it's riddled with holes that I'll be reminded of on the Internet any minute now. If you choose to read it. When we started out, you would get feedback from fan mail, if you dared to read it. And I remember early versions of [online] bulletin boards, where it was exciting to see that somewhere, digitally, people were talking about your band in little chat rooms and things like that. When we got up to whenever Twitter came out, I took it upon myself to try to direct market to people. Myself, Rob Sheridan — my art director and collaborator on pretty much everything creative — we spent an enormous amount of time really studying the behavior of people: how people wanted to consume music, how they learned about music, what formats they liked, what felt insincere to them, what they felt the value of music might be. Really just watching. But it tuned us in to that feedback loop of commentary, and you can easily go down rabbit holes with niches of people that are unpleasable, regardless of what you could possibly do as an artist. My brain is wired to follow the negative down there and try to engage people and defend and fight, but that's an utter waste of time. I left that era of my life realizing that just because everybody now has the ability to be a self-publisher and broadcast every whim and thought to the world, it doesn't mean that that opinion is necessarily valid or needs to be consumed or listened to or paid attention to. I think — and I've said this recently in the press — as an artist it's an incredibly dangerous time to pay attention, too much, to what other people think. Because it inevitably leads to either homogenous, crowd-pleasing, meandering work, or it leads to something that's just as insincere — just to go against that. You're known for really intricately composed, crafted, layered songs. Walk me through what's going on in the new song "Copy of A." It starts out with this repetitive synth pattern, right? Yeah, that's five 16th notes with a rest in there, so it's hard to tell where the downbeat is. I like the way it flips around and doesn't always land on the beat in an expected way. This song is really about repetition and starting to layer small elements of rhythm, percussion and treatment of vocal into something that is meant to feel hypnotic but slightly unnerving. Not comfortable, not EDM dance-tent, wave-your-hands-in-the-air, but more something that keeps you on the edge of your seat, that doesn't feel quite right. So the intent is to be unsettling? In this particular song, yeah. It's about tension. It's about layers of complexity that don't feel showy, that don't feel like, "Look at all the things I can put in here." Things suddenly creep in. If you were to study this track or listen to the multitracks of what made it up, there's a lot more in there than what it sounds like. It's meant to feel understandable and minimal in its surface. Do you remember how many tracks there are on this song, layered on top of each other? No, no idea. I remember when we did The Fragile, however large the mixing console we had, we always had to add more tracks — we were always maxed out. This album in general was very much the opposite of that. And somewhere in here, on guitar, is Lindsey Buckingham of Fleetwood Mac. How did that happen? The idea that [co-producer] Atticus Ross and I had was to bring in some other brains that work in a way that's different than ours. Lindsey Buckingham was kind of the oddball choice: "Man, it'd be great if we could get him — let's try!" A couple days later, we were sitting in the studio with him. Why did you want him? I've always greatly admired Fleetwood Mac from as far back as I can remember — and in particular, I've always admired his production skills and his guitar playing, which I think get overlooked because of all the other great aspects of Fleetwood Mac. His picking style, his sound, his aggressiveness and just his mastery of the instrument, I always thought was amazing. I thought it was so different than what I do, it might be interesting to see what happens if we put those things together. We did the same thing with [guitarist] Adrian Belew and [bassist] Pino Palladino, which was just to bombard these guys with snippets of music that we assumed would be a bit unfamiliar and kind of a foreign land to drop them into. We would offer guidance, but not strict guidance — basically, "Do whatever you want, but what if it was something like this? For this track, what if it was just long melodic phrases that were at least four bars long? Or what if your guitar was a percussion instrument [and] we don't hear any sense of melody?" We'd just record everything and sort through it later. I've been doing this with Adrian since The Downward Spiral; what Lindsey brought to the table was, the second he picks up his guitar, it's him. There's all these different sounds coming out and I think, "What pedals is he using?" And he's not. He just knows how to play his instrument really well. I'll bet there are lots of tucked-away sounds in these songs that you're really, really pleased by, that are layered so deep in that we may not really hear them — but you know they're there. And I'll bet you love that. We all acknowledged — when I say we, I mean Atticus Ross, [mix engineer] Alan Moulder, myself, the core team here — that we thought this was a pretty important collection of songs that would benefit from an extended period of time working on it. It ended up taking almost twice as long as we originally thought. We discovered [that] the sound of the record, the way we built it up and kept it fairly sparse, became very tricky to mix and get the puzzle just right. And what you were mentioning about layers and pieces — we spent a lot of time really weaving a kind of tapestry, a sculpture of things that work in very subtle ways, that lift up choruses or make certain areas feel more intimate or a bit more tense, really taking the time to get the mix and the tiny details right. I think those things come out after repeated listenings. Those are the kind of records that always change my life, that make it feel like my brain got larger or my taste widened a bit, so I try to make those type of records myself. You mean you're still discovering new things in this record? Yeah, I mean, I aspire to make a record that sounds better 10 listens in than it does after two — and still, at 50 listens, you're picking out things that add a depth and a thoughtfulness. There's enough in there that you can still be extracting pieces out of it. I don't know that people listen to records that many times these days, but I do. There's a sort of a creaky, percussive sound on the song "Find My Way." What is that? We put a mic up in a room and had a bunch of just junk around — slats of wood, miscellaneous percussion pieces, a table. We just started banging on things, recording everything and extracting them and treating them. And we stumbled into certain things that work in that context. I just love that sound so much. What were you trying to get out of it? Well, we were trying to make it feel like it wasn't coming from the same place as the loop around it. What's around it is all electronic drums, processed and delayed. They feel very direct; there's a nice, fundamental low end and warmth to it. We wanted something that felt much more live sitting on top — not in a way that fights it, but that makes the track come alive. We record a lot of things with a stereo mic in a room so it actually has a sense that it sounds real. If you walk in a room where someone's playing drums, it doesn't sound anything like drums usually sound on records — because drums on records have lots of close mics, and everything's gated and compressed and EQ'ed and polished up. If you walk in a room and Dave Grohl's bashing on a drum kit at full volume, it sounds exciting and live and ringy and chaotic. You're hearing it splash off the walls and the snare's too loud and the cymbals are kinda scary because your eyes vibrate when he hits them that hard. A few years ago, back in 2009, you wrote on your website that it was time to let Nine Inch Nails disappear for a while and you were done touring under that name. You worked on other projects, but now you're back — doing these big arena shows, huge festivals, Lollapalooza. What's it like feeding off of those crowds again after having been away for a stretch of time? It's pretty interesting, the transformation from the idea of it to the actual execution of it. A year and a half ago or so, I realized a record was going to be made, and there was the inevitable talk of doing a supporting tour — you know, do I think I have anything left I can pull off in that format? Can I say something new? If it's for nostalgia, no. If it's for me to just get up and relive running the touchdown across the finish line in the homecoming game, then I can't allow myself to do that. But if I think I haven't done everything I can do — if I have something to say and a way to present it that warrants it, and I can physically pull it off, and it's something that I think belongs under the heading of Nine Inch Nails and what that means to people, then yeah. And I'll catch some flak for saying I wasn't going to do that again, but I changed my mind. I feel much more invigorated and inspired than I did when I said I didn't want do it anymore. A year and a half ago, that seed gets planted and the decision gets made: "Let's play some shows, and let's put this record out." Then it turns into executing it, and in the last month, it's turned into actually being onstage. Festivals can be the greatest and they can be the worst; I think we had a taste of both of that on this little run we just did. You're up there and it's a sea of people, and it's not a given that it's going to be your crowd because people are there for a variety of reasons — but when you see it connect, it feels fantastic. I think the show that we just built to play festivals was very smart, and I had that feeling as we were about to walk onstage that I can't wait to show this to people. You know, at song 22, I'm completely exhausted with a sore throat, saying, "Did I just sign up for a full year of this?" I'm a hundred years old right now. It feels a little different in that way. But it's felt great. So when you say it could be the greatest or the worst, what's the worst? There were a couple festivals where we were sandwiched in the wrong kind of bill, to be honest with you. Nine Inch Nails is kind of an anomaly because we've never had hits. We had one kind-of hit, "Closer," but we're not like a singles band. And to see us sandwiched with the people making Rihanna singles and some of the stuff that's at the top of the charts right now. ... We played a show in Belgium, essentially opening for Eminem. And there was a realization about midway through the first song that, OK, this audience doesn't care about what I'm up to. So what do you do when that happens? How do you adapt or calibrate what you're doing next? I don't know. Twenty years ago, it would have been smash equipment and insult the audience and throw a tantrum. Now, it's smash equipment, throw a tantrum internally, maybe. I'm not sure what you do. I'm trying to think if I should say this out loud, but I will say it out loud because it's what I do. In '91, Nine Inch Nails was kind of the new, hot band that was starting to break in the States. We had just played the first Lollapalooza and our song that had been out for a year and a half had just gotten picked up on MTV; you could feel a kind of momentum. Guns N' Roses was the biggest band in the world at that time, and Axl Rose, who was a fan, publicly asked us, "Come play some shows with us in Germany." You know, play in front of 65,000 people in Mannheim. [I thought], "I've never been there; let's do it." Stepping onstage, I'm sure it didn't take the whole first song for me to realize, OK, this was a huge miscalculation, because the only thing that can be achieved here is confrontation. There's an audience that's here for a certain thing, and what we're doing is not in the wheelhouse of what's acceptable for that thing. And then you question, "Are these people that even I would want to have as my audience?" And generally, no — I don't like this kind of music; I wouldn't come to this concert myself. And then you think, "I should have thought this through before I said yes and flew to Germany." We made a couple of those mistakes on this festival run. But you can get comfortable playing to your own audience all the time. We're about to embark on an arena tour in the U.S. here — that will be our audience. And what's good about that is I feel we can get away with more things, we can stretch your attention span further, I can play songs that I feel are more challenging. But you're also walking into a home-court advantage every night. Sometimes it's humbling and can be beneficial in a sense that you still have something that you have to prove. When you're onstage now and you're doing old Nine Inch Nails songs from the dark days, songs full of hurt and pain and anger, how do you pull that off? Does it feel very different from where you are now, in that it's painful in a visceral way — like peeling off a scab? I've kind of watched with amusement as the press has latched on to "Reznor, now 48, happily married with two kids and an Oscar winner," as if I can be summed up as that now. "He made a song with a major chord in it that we don't understand" is something that references Joy Division and New Order. It's pop-punk. That's the tagline for who I am now. I'm not the same person I was 20 years ago, and I'm happy to not be that person. When I'm onstage, the songs that we've chosen to play from the back catalog are things that still resonate with me and matter to me, and when I'm in those songs, I get transported into those songs. It can be draining to go through that. You mentioned your kids — you have two young sons. Are they on the road with you when you go out on these tours? We're just at the beginning of it, but so far, it's been great. I said I wasn't going to tour if it meant missing them grow up, and I mean that. I love playing and I love touring, but I'm not going to miss out on their lives to do that, so I'm attempting — and so far, so good — a balance there. Are you with them right before you go onstage? I mean, do you have to sort of shed one persona to become the other? Generally, they don't come to the venues. But to be able to wake up and hang out with your family, to have that normal aspect of being present for them, that matters. I find that quite centering. You know, instead of sitting on a bus with a bunch of guys — nothing against it, but I've done that for quite some time. And it adds an interesting duality where I can kind of switch that off and kick into show mode. It keeps things, so far, feeling kind of sane. Ask me in a few months and we'll see what the answer is. You were talking before about the through-line in some of the new media coverage — the happily married guy with the two kids, and how that can be sort of misleading. What do you think is the biggest misunderstanding about you? That's a good question. There were times when I kind of believed what I read about myself because I wasn't sure who I was in the first place. In the mid-'90s, I certainly fell prey to that. Nowadays, I don't care as much about what people think, and certainly what the press thinks. And I say that not out of arrogance — just, I've learned to tune out things that I find destructive. I could spend a lot of time being frustrated about one aspect of the press, which is what low qualifications are required to become a quote-unquote journalist these days. I can do an interview with somebody and have a conversation with them. That person can extract their version of what was said, and then I'll get hundreds of Google Alerts extracting that quote out of context as some new slogan that's link bait — so they can sell advertisements. One of the ones — well, I won't even give it credit. Somehow it's being twisted into, I'm anti-"do-it-yourself" and I'm criticizing anybody that's trying to have a Kickstarter or do things on their own. That couldn't be further from the truth. There's been a big thing of, "My album costs 10 bucks or go screw yourself," with a different word in there — all taken out of context of what I was actually trying to say. And even trying to explain myself is tedious and kind of pointless, because this explanation will be taken out of context. So the end result of all that, for me, is to kind of just tune it out. Try to do the best work I can, try to do that work with integrity — and then, I can't control how you're gonna feel about it or what you're gonna think about it or how I'm gonna be represented about it. If you look back farther at how you've been viewed as a musician or as an artist, are there other misperceptions that make you feel like, "They just don't get who I am and what I'm doing here"? Well, there's always been a need to put things in boxes — understandable little headings so you know what the thing is. What were we called in the '90s — industrial? What does that mean? Well, we don't know. It's not alternative like grunge, and it has synthesizers — let's call it industrial. That was never me out there, waving that banner around. I think in Europe we got called metal at some point, and so we'd wind up in this kind of metal heading as if we're brethren with whoever's considered a metal band. I don't know. I think if you've been around long enough and you're attempting to continue to expand and reinvent, it becomes more difficult to niche — until they can comfortably place you in a Neil Young slot, as someone that's been around long enough that they've proven themselves to be something else. You decided to master the new album, Hesitation Marks, two different ways: There's the standard version and the "audiophile" version. How are they different? When we were working on the album, we realized the songs had a lot of dynamics: They went from very quiet to fairly loud. There was also a lot of low-end frequency: We made this record kind of inspired by a lot of what's happened in hip-hop and club stuff, where there's a lot of information happening down in the low end that you won't hear out of your computer speakers. In the last several years, the "loudness wars" you hear about [have] been everybody trying to make their record louder than everybody else's — the idea being when you put your song on, it blasts out of the speakers and it sounds more exciting than one that's not as loud. The compromise that happens when you make things louder and louder is, you lose the dynamic range. The fidelity suffers, but the hype goes up. We were faced with a dilemma at the very end of mastering, which was, do we compete with everyone else? Do we want to be as loud as other acts when you're shuffling through on iTunes? Or do we a make it just a purist thing where it's exactly how we want it to sound? So we decided to master it two different ways. And this wasn't meant to be any kind of tricky marketing way to fool you into buying the record twice — it was just for the small percentage of people that would appreciate the difference. If you have a high-end system, you'll need to turn it up a little bit louder, but you'll hear it closer to what we actually were listening to in the studio. Don't get it expecting [that] you're going to radically notice the difference, particularly if you're listening to it on your computer. It's a subtle thing that was meant for the people that care about that sort of detail. That's got to make you happy, to know that some people will hear the album as you heard it. Well, it's just like a number of other things. In the olden days, being on a major label, we'd get into fights about the cost of the package. I would be arguing, "It needs four-color ink and it needs this kind of paper." And the argument would be, "Nobody cares about that stuff." I don't know if the guy that bought the Eminem record cares about that — and that's nothing against Eminem. I don't know that my biggest fan cares about that. But I care about it. I care about the way that paper feels, and if it leaves fingerprints, and I would prefer that it's not the jewel box that explodes when you try to take the plastic off the outside. And with vinyl, I care about what's written on the inside with the engineer's handwriting. I think about those things. So if I'm able to offer something that actually makes it sound a little closer to how we wanted it to sound, I don't expect everyone to care about that. But if you do, then here it is.